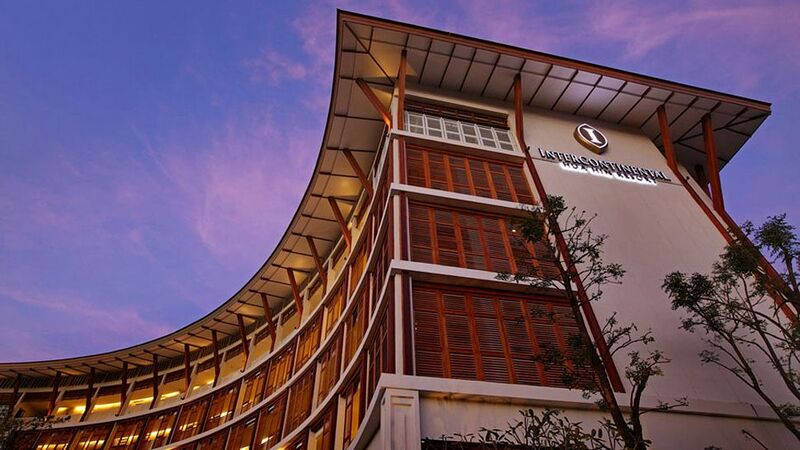 The Intercontinental Hua Hin Resort is an excellent example of Hua Hin’s finest. A Thailand oasis retreat, allows golfers to experience historic Hua Hin at one of the best beachside locations. The Hua Hin resort architecture was inspired by His Majesty King Rama VI's Summer Palace. Rooms for Hua Hin golfers are spacious and of a design that blends classic with contemporary Thai decor. Each room, suite, and villa has local accents, latticework motifs, advanced entertainment systems, and oversized marble bathrooms. Discriminating golfers choose the Intercontinental Hua Hin Resort for its standard setting luxury.